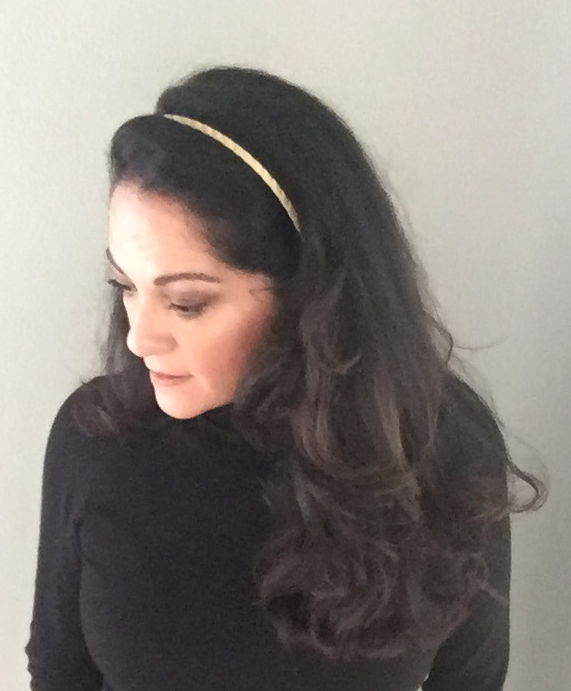 This is a basic 3/16" silk wrapped headband, flexible to fit the shape of your head. 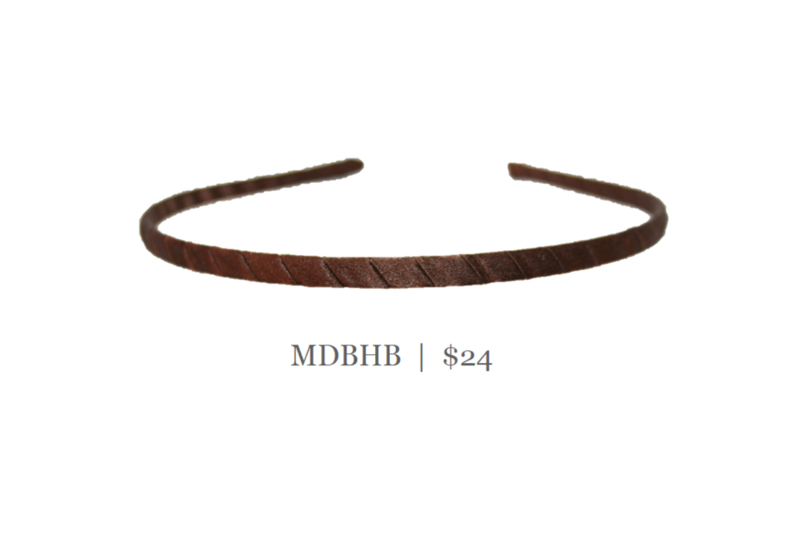 Easy to wear, hides in your hair and keeps your hair back.A grab and go headband. Available in 3 sizes, this is the middle size. Shown here in chocolate silk and on our model in gold.